Help! What Does My Teeth Dream Mean? For Freud, teeth falling out in dreams point to anxiety about sexual repression and the desire to be nurtured. This disturbing symbol also tends to show up in dreams during important moments of transition in the dreamer’s life. Check both positive and negative dream meanings before drawing any conclusion. For each definition, take the time to ask yourself: How do I feel about this interpretation? Does it resonate with me? Does it make any sense to me personally? Sort through the various meanings to find the one that is most relevant to you. Do you want to have more success and joy in your life? The best way to do this is by learning more about your name through numerology. It is a 4,000 year old science that can help you learn the meaning of your name, because your name was no accident! 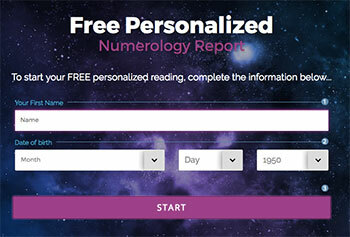 All it takes is your name and date of birth, click here to get your free personalized numerology reading. What does my dream about teeth falling out mean? In the field of dream interpretation, teeth falling out are associated with loss and important life changes. This symbol points to feelings of insecurity or vulnerability regarding a recent event that disrupted your life. Such dreams indicate that you are dealing with loss in one way or another: It could be a sudden loss, like an abrupt end to a relationship or job change; it could also be a more gradual process of releasing old ways of living and adopting new habits. For instance, you could have this type of dream after moving, changing jobs, ending a relationship or starting a new one. These are important emotionally charged changes that may be expressed through the symbolism of teeth falling out. Dreams about teeth falling out could represent the cost of making a compromise that is not satisfying for you or is bringing your life out of balance. We tend to have this type of dream when we are confronted with decisions to make, but feel we have limited options available. The symbolic images used in the dream language illustrate the risk making a decision that could costly. For instance, you may have disillusions about your career path or school work, be stuck in a job you do not really like, or feel ambivalent about a relationship or decision you’ve made recently. Your dream would point to feelings of ambivalence or the sensitive nature of that situation in your life. Teeth falling out in a dream could signify that you are or were recently facing a dilemma in your life. It points out the cost of a decision, but it could also bring light to the price of inaction or lack of willingness to make a choice. Such dream generally indicates that you may be feeling like you lost your ability to “chew on things” or digest information or an event. This symbolism could draw your attention to important matters that you may be unaware of at the moment. A common dream interpretation for teeth falling out sees this symbol as a representation of the fear of aging or becoming less efficient or productive. In other words, it would point to the loss of your means to fully bite into life, to break down what life brings you. This type of anxiety dream remind us of issues we may have in our waking life about self-esteem, decision-making, and assertiveness. The overall tone and atmosphere of the dream can point to positive or negative meanings. For example, dreaming about having bad teeth could be a call to examine the way you show or assert yourself in life, whether it’s at work or in personal relationships. According to the classical Freudian interpretation, teeth falling in dreams are considered symbols of castration and fear regarding the male genitalia. For men as well as women, such dreams could relate to anxiety about sexuality or sexual interaction with a partner. Beyond this literal sexual and psychoanalytical analysis, this symbol can be interpreted as a representation of the fear of being deprived of your personal power. As an extension, common interpretations revolve around the idea of powerlessness, aggression, and concern about your safety. Keep in mind that a meaningful dream interpretation is multifaceted. The symbolism of the images featured in dreams are generally made of several layers of meanings. Note that if you’re dreaming that a lot of teeth are falling out, the quantity or intensity of the pain or horror you feel while you are dreaming is proportional to the cost associated with the fear you’re feeling in your waking life. Learn How To Clear Your #1 Energy Block In Just 7 Minutes. This simple 7-minute energy technique is an excellent way to experience the power of Energy. It will clear your #1 block and you’ll feel different right away. (Watch out for amazing synchronicities right after you do this.) 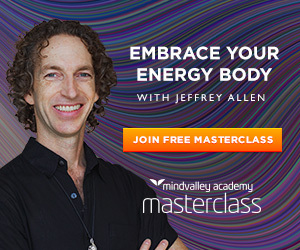 In this masterclass, you'll also get to learn FOUR of Jeffrey Allen’s most effective energy healing techniques… that’ll help you attract more abundance, more love, more good health and more happiness in your life (you can apply them in any aspect of your life and see instant results.) >> Get your free Spiritual Energy masterclass spot (plus a 10-page workbook) now. Analyzing your dream is like looking at the two sides of a coin: For each seemingly negative meaning, you can uncover a positive explanation that can help you understand the constructive message conveyed in your sleep. A modern perspective emphasizes teeth as symbol of the process of growing up, expanding and developing yourself. A tooth falling out during childhood is often first time we experience the loss of something that is a part of us. It also represent a time when we get tangible signs that we are growing up out of childhood and transitioning into a new phase of our life. In dreams, this symbol represents the passage from one situation or one order to another. Dreaming that your teeth fall out could therefore signal that you are in the process of changing, growing out of the old into the new. While you are in the midst of change, the process may feel like you are loosing something or leaving a familiar environment or habit and jumping into the unknown or the unfamiliarity of a new place, job, relationship or way of doing and seeing things. As with any major change in ones’ life, this might be disturbing or even scary or painful – just like when something happens to your teeth. Transition times can also be seen as periods of discovery and personal growth. Dreaming of teeth falling out may be a reminder that something similar is happening in your present life. When you have such a dream, be sensitive to your own development, how you’re growing through experiences or challenges, or pushing beyond your usual limits to discover new territories or ways of doing things. Conventional psycho-analysts provide an additional perspective by arguing that dreaming of teeth falling out indicates an unconscious desire to regress at early stages of childhood when we were toothless and nourished by the mother. A brief explanation of that interpretation: During early childhood, we did not have to deal with difficult decisions and constant adjustments to make to deal with reality. Dreaming of teeth falling out is therefore likely to come up when one is struggling with problems or difficulties that seem insurmountable or when you’re facing challenging decisions. It’s also an indication that you’re facing a period of potential growth that could turn out positive if you pay attention to the delicate balance between your needs and the requirements of the moment. Losing teeth when you were a child was probably the first time you experienced the loss of something that was so close to you it was literally part of you. As you dream that your teeth are fall out, your unconscious is using images that play on similar feelings. This symbolic imagery suggests that you are dealing with an event or situation in your life that prompts you to deal with change and find support wherever you can. When this symbol shows up in your dreams, it may point to the need to take care of yourself while you’re undergoing radical changes in your life. It may be an indication that you’re in the process of growing, discovering and developing aspects of yourself that were previously hidden or neglected. Be sure to acknowledge that you need to take it easy on you, perhaps take some rest and give yourself the support you need to accomplish the task at hand or challenge the obstacles that are on your way. A traditional interpretation consists in seeing teeth as symbols of personal power or self-esteem. A number of common idiomatic expressions evoke the relationship between teeth and the capacity to find your own edge or to live life more fully. 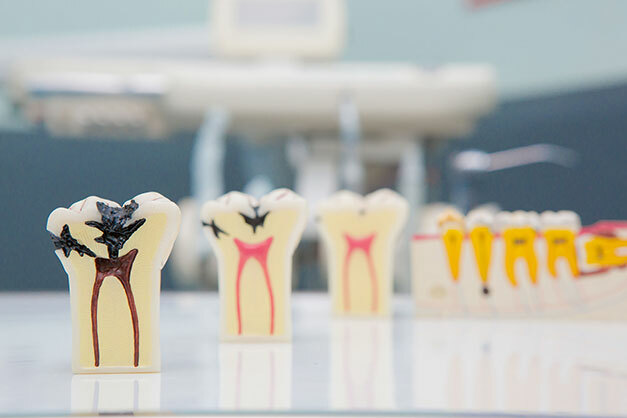 If the dream contains some tension or violence, the teeth images could be interpreted as a symbol of aggressiveness and personal strength – or lack thereof depending on whether the dream scenario is positive or negative. Look at how you are using your instincts and primal drives such as fear, sexual desire, or desire to take control or dominate in your waking life. On one side, you may be in the process of gaining more control over your environment or others, rising your level of confidence in a business environment or a relationship for instance. On the other side, the teeth in your dream may reveal tension or conflicting feelings regarding your personal power or ability to succeed. For Jung, one of the most influential psychologist and dream analyst of the 20th century, having a tooth or teeth fall out in a dream symbolizes giving birth to something new. According to him, this is especially relevant if the dreamer is a woman, but the symbolism could be applied to anyone’s dream. Dreaming of having your fall out reflects the tension and sometimes painful process that comes with starting or creating something new whether it’s a project, personal resolution, decision or responsibility. It usually connects to emotions you may be experiencing currently as you are going through changes or important shifts in your life, such as changing jobs, home, ending or starting a relationship or simply going through a period of significant personal growth. In any case, it may feel like you’re ending something and starting something new. A popular dream interpretation technique consists in connecting dream images to experiences you have or had in your waking life. 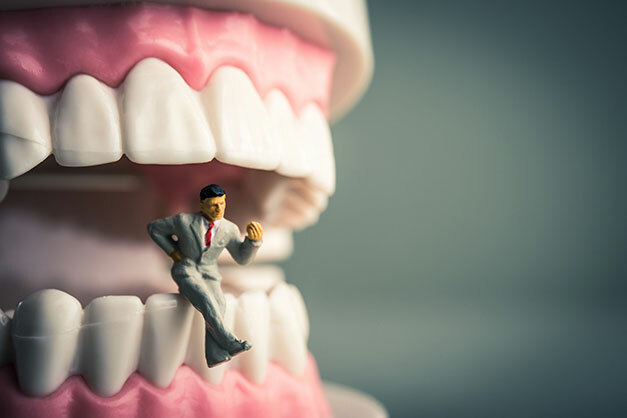 If you dreamed that your teeth were falling out, remember the feelings or thoughts that came up with the experience in the dream and connect them with emotions or situations that evoke similar reactions in your waking life. For example, imagine what it would feel like to have a tooth fall out and what it would mean to you. If you or someone else in the dream has bright white teeth and a shiny smile, what do you typically associate with these traits: Is it seduction, beauty, power to impress, cleanliness, something else? The answer could point to possible meanings for the symbols in your dream. The bottom line of this dream analysis method is to connect to the original feelings and emotional charge expressed in the dream through teeth imagery. As you practice free associations, playing with symbols and their meanings, revealing more and more layers of understanding, you gradually uncover the true meaning of your dream. Remember that your interpretation is far more meaningful when you connect it with events, situations or feelings you have in your personal life. When analyzing the content of your dream, ask yourself what this image could represent or what role they play both in your dream and in your waking life. Click the video Play icon above to see the digest of the most important dream meanings or watch the dream interpretation video directly on YouTube. Dream research: Are Dreams About Teeth Falling Out Universal? Confused or intrigued by your dream featuring your teeth falling out? Be reassured, you’re not the only one. Contemporary studies confirm what Freud was already saying in his classic, The Interpretation of Dreams back in 1900. The father of psychoanalysis outlined a series of common dreams, such as flying dreams, dreaming about having an exam, missing a train, falling, death of a person you know, and losing teeth. Conclusion, dreams of teeth falling out and losing teeth are universal as they are common across cultures. They also tend to be recurrent within one’s lifetime. This type of dream scenario is among the top 3 most common recurring dreams. In Barrett’s article, “Trauma and dreams” (Harvard University Press), teeth falling out are the third most common recurring dream theme after dreaming of being chased or pursued, having problems with house maintenance. A study about the case report from Koutroumadinis and al. reporting tooth-brushing seizures makes correlations between the imagery of losing teeth and teeth falling out in dreams and during this specific type of seizures. Do dreams of teeth falling out result from dental excitation? Dreams about having your teeth fall out would be associated with neuronal stimulation focused on the trigeminal nerve and some parts of the brain. This reinforces the hypothesis that some dreams about teeth falling out are somatic in nature; in other words, they are triggered by a physical stimulus related to the mouth. In addition to being precipitated by a somatic sensation, a dream of teeth falling out or losing teeth is the product of mental and emotional states and associations the dreamer experiences. The research suggests that the neuronal networks that support these states interact with the networks related to the teeth (e.g., the trigeminal zone). Need help with your dream about teeth falling out? Submit your dream below to get insight from other readers and interpreters. Ask questions about what your dream about teeth falling out means or comment on someone else’s dream. I had a dream last night and at first I was at home anmy tooth fell out but only becuase I wiggled it and it like shattered. It didn’t come out easy. And there was some left in in. I went to the bathroom to look in the mirror and at first I thought it was my front tooth and I smiled feeling upset that I would never be able to smile nor, afford it to be fixed. I was with my mom and when I found it it was a tooth on the top but on the side and it didn’t even effect my smile I was fine and it was easy. First of all I would like to acknowledge your terrifying dream. I’m not sure what is happening with your sister or your coworkers, that does sound frightening. I think the complex relationship you have with your employers could be the root of the turmoil you experience in your dream. I had a dream this morning. I was with my boyfriend riding a motor to my house then we had an accident on the street. When I woke up(in my dream) me and my sister will go to the nearest hospital. Idk why we are going….. my sister told me that my nose is break and I cant move m jaw. It hurts so much. When we are walking down on the street I tried to fix my jaw but it hurts. I tried again then there it goes my lower teeth are falling down. My sister was shocked. I tried to fix my jaw again then there it goes again. All my lower teeth are falling on the floor. I wake myself up(real life) and search for the meanings but I dont understand. Can you help me? i had a dream of falling off teeth twice. the first dream wa a month back and i dreamt that my front tooth of two or three(can’t exactly remember how many) were falling off and i was panicking and very conscious of how i would look. and today i had the same dream of falling teeth again but this time it is my other tooth coming off one after another (so many) but not completely. In real life am very conscious about my teeth as i dont have a good teeth. Maybe am dreaming this dream because am so conscious about it or what is the actual meaning behind it… am scared. In my dream I am getting a letter from the letter box on my mother’s call. When I am returning to my house, one tooth came out followed by many other. Around 8 teeth. I was fine when first two came out. I was calm. For the letter I was excited. First I would like to acknowledge your beautifal name. I am glad to hear you have mother, especially with a good relationship. It is fantastic you were able to remain calm even after 2 TEETH fell out. Important question, what were the contents of the letter? Also, do you have teeth left? I am currently facing a very serious battle and in the midst of the battle I have had all my teeth fall into my hands three times. I became so worried each time I have the dream. i noticed a crack on a tooth.. i tried to take it out as it was already coming off.. surprisingly the whole lower teeth came off… i was scared and worried.. i spat them all out to realize a newer set had already grown beneath the fallen ones. Please help me interpret this. Suu dont worry, Dr Seus is here. Firstly, please never attempt to put braces on yourself again. IT is extremely dangerous. Leave it to the professionals, I will do it for a reasonable rate only $4 is all I ask. I recycle the braces so it is ecologically friendly. The 3 months I spent at optometry school has prepared me well for my career. No teeth will be falling out on my watch, I can insure you as well because I have an insurance company. As for the interpretation, I think your teeth are fine since you can still see them in the mirror, the only alternative is that somehow your teeth are inside of the mirror, which I don’t believe is plausible. I am a cosmetologist. I know these things. Every single night for the past 2 months, I have a dream that all of my teeth fall out. I plays over & over all night. When I wake up my mouth & teeth hurt, my anxiety is horrible & I check to make sure none of my teeth are loose. It’s scary & I am restless, even afraid to sleep now.